On November 15, 2014, Brooklyn for Peace (BFP) celebrated its 30th anniversary by honoring Noam Chomsky with the Pathmaker to Peace Award. Noam Chomsky is the “father of modern linguistics,” a relentless critic of US foreign policy, and a world renowned champion of the struggle for social justice. On a personal note, I was excited to see Chomsky. His writing influenced the course of my political life. I grew up in a conservative family--my father worked for a military contractor and I was apolitical as a youth. In college, I read Chomsky’s Turn the Tide which detailed the United States’ horrific war on Central America. In his characteristic way, Chomsky meticulously documented the atrocities being committed by the U.S. Outraged by the war and inspired by student activists at my college, I joined the peace movement. In his talk, Chomsky honored BFP for its persistence and longevity. Creating long standing vibrant institutions is essential for developing movement memory and capacity. He stated there may be more citizen activists in the United States currently than at any other time in US history, but a major deficiency of the movement is that we are scattered across both time and space. Because of the lack of long standing organizations, we tend to work in isolation, forget our history, and reinvent the wheel when faced with new crises. All of the political challenges we face today have a deep history. For example, racism in the United States is long standing and patterns of discrimination and violence have replayed throughout US history. Immigrants have always been attacked often by the group they were replacing in the workforce. For example, in the 19th Century the Irish were treated almost as poorly as African Americans. Early gynecologists experimented on African American and Irish women without their consent. The racist Immigration Act of 1924 was admired by Hitler and prevented potential Jews and Italians immigrants from fleeing fascism to the United States. The attack on the gains of the civil rights movement and the current criminalization of black life in the United States has parallels with the end of Reconstruction following the Civil War and the implementation of Jim Crow. 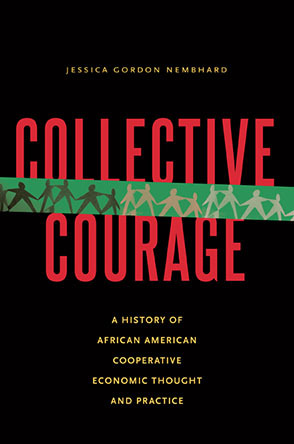 Since the foundation of the US, there have only been a few decades that African Americans could participate in society on somewhat equal terms. Class war is also a repeated theme in U.S. history. The United States has a much more violent labor history than Europe. Labor parties and unions were virtually destroyed following WWI. And, the downward trajectory of the American working class today can be traced to the attacks against unions and labor parties after WWII and escalated by Reagan in the 1980s. The US ruling class also has a long history of being incredibly reckless and literally risking the survival of humanity to further their hegemony. In 1983, the Reagan administration was developing first-strike nuclear war capabilities and probing Russian defenses. One day a false alarm went off in the Soviet Union detection system indicating a US nuclear attack. One Soviet Air Defense officer decided it was a computer malfunction and did not initiate a counterattack preventing a nuclear holocaust. The US continues to take enormous risks such as starting wars (e.g. Iran and Afghanistan) and proxy wars (e.g., Somalia, Libya, and Ukraine), fostering a global financial system based on gambling and prone to crises, ignoring the global public health infrastructure which could prevent epidemics such as Ebola, and actively undermining an international response to global warming. This suicidal lack of precaution is hardwired into the way capitalism actually works. The CEOs of Exxon and the other major oil and coal companies are legally obligated to maximize profit, thus maximize oil production, and the rush towards a climate catastrophe. The US public is against the policies of hegemony. In polls about specific policies, Americans favor social democratic policies (e.g., a right to healthcare, expanding social security, higher minimum wage, working through the United Nations to diplomatically solve problems). Why aren’t those policies realized? A recent study published in Perspectives on Politics by Gilens and Page demonstrates that the very rich set policy in the US, and that average people have no influence on government. Thus, most people feel alienated from politics. In this last election the US had the lowest voter turnout since World War II. All of the political challenges we face today have a deep history. So, how do we organize? Chomsky asserted that the US has a strong radical tradition and populist forces have had many successes in expanding the realm of freedom. He stated that perhaps the most important progressive movement in US history was the populist movement, a farmers’ movement at the end of the 19th century. He also discussed some of the gains of the labor, civil rights and women’s movements. Chomsky was complimentary of both Occupy Wall Street and the climate justice movement. However, he stated that the Occupy movement had many weaknesses common to populist uprisings in the United States: it was spontaneous, lacked historical memory, and lacked the institutional organization necessary to adapt once the tactic of occupation had played out. I wanted to ask Chomsky what type of organizations does the “left” need to develop to organize a more integrated and powerful movement with a long term vision and strategy; however, I did not get the opportunity to ask the question. Currently, the “left” in the US is organized into many small relatively autonomous groups that share an amorphous sense of egalitarian values. We can come together for short bursts of coordinated activism and biannually to be co-opted by the corporation-dominated Democratic Party. The nascent worker cooperative movement, which is attempting to build a federated system, may be a model for the political left. Worker cooperatives are businesses democratically owned and controlled by workers. Worker cooperatives across the US are building regional organizations such as the New York City Network of Worker Cooperatives and a national organization, the US Federation for Worker Cooperatives, which work to create the educational, legal and political infrastructure necessary for a cooperative economic system to grow. Politically, the “left” also needs a federated “party” independent from the Democratic Party and corporations where we can democratically and respectfully debate and agree on vision and strategy and have the organizational capacity to sustain coordinated tactics to pursue our ends. Though the left’s core values include solidarity, communalism and democracy, we have no institutional vehicle to practice democratic decision making and planning on a scale large enough to really vie for power. Yet the time seems right to build such an organization. Since the 2008 crash, worldwide dissatisfaction with corporate capitalism is palpable. Moreover, the climate crisis, perpetual war and the political and economic disenfranchisement of the 99% make building a “party” imperative. This is our challenge. Humanity's survival literally rides on us rising to that challenge. John Lawrence is a member of the GEO collective and teaches psychology at the College of Staten Island, City University of New York.